How fast things change when the inevitable becomes reality. Yesterday, as Netflix started streaming to Singapore homes, the country’s incumbent pay-TV players were quick to say they were seeking to strike a deal with the new cowboy in town. 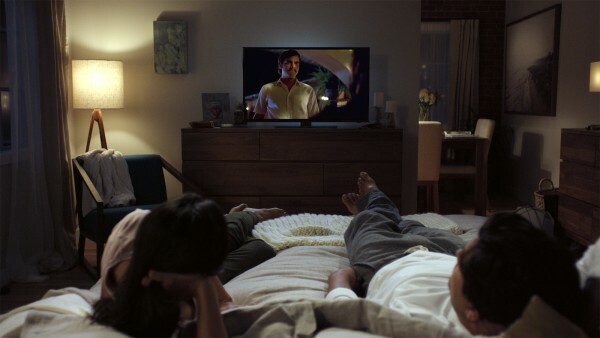 StarHub says it might offer Netflix programmes on its cable set-top box, while Singtel will offer “great promotions” to customers who want to view the American video streaming service. Having used that slow, annoying cable box at home for so many years, I’m not sure I want to watch anything on it – never mind a new service that can be viewed on my phone, tablet, PC, game console, Android box, or smart TV. It’s like asking me to surf the Web on a 2000-era “dumb phone” in the age of smartphones. As for Singtel’s promotions, let’s see. Many viewers are still sore about how it tried to make them sign up to a Singtel pay-TV service in 2013 to view English Premier League matches. What good deals might it offer now? Right until recently, when both operators realised there was no stopping the global reach of a streaming service that tore down old, geographical barriers to entry, each must have been quietly hoping that it would somehow fail to reach these shores. Already, users who have been streaming Netflix programming from the United States, using virtual private networking (VPN) and other services, have been a thorn in their flesh. Plus, Singapore’s decades-old media laws, often struggling to keep up with the fast-changing technologies used for delivering content, could have been a stumbling block. Fortunately, this hasn’t been the case. Rather than force a dull, censored catalogue “safe” for Singapore’s audience, the regulators have allowed Netflix to show programmes like Marco Polo without cuts, but with a passcode to prevent children from viewing them. That is a step in the right direction. After all, if Singapore were to force Netflix to customise too much of its offerings and cause the country to miss out on the big launch, you can imagine the consumer reaction. Notably, China, North Korea and Syria are not among the 190 markets now streaming Netflix. Singapore wouldn’t have looked great on that list, not with its ambitions to be a media hub. Having crossed that bridge, things can only look up for pay-TV consumers here. Sure, if you have been viewing Netflix all this while, this is no big deal. But for many couch potatoes, binge watching is a new thing. Plus, the ability to stop watching, say, on your TV and continue on the go with your smartphone is a new experience for many. The thing that is bigger than Netflix itself is the change in habits it encourages. Despite having some of the fastest broadband connections in the world, many people here still use all that bandwidth to stream or download pirated stuff. The Netflix all-you-can-view offer starting from less than S$11 will make them rethink going down the same illegal route. When there are enough legit streaming services that are affordable and easy to use, the temptation to pirate stuff decreases. And Netflix is just the start. This year, Hong Kong’s PCCW is also poised to release a video streaming service across Asia, offering Korean drama serials to users over the Net. This weekend, you can stream live FA Cup matches featuring Manchester United, Liverpool and Chelsea on your laptops, tablets and phones for S$3.90 a day on Eleven Sports. Even StarHub and Singtel, spurred by competition, have developed their own streaming offerings, along with the traditional services over a set-top box. Going by how well music streaming services such as Spotify have been received here, it will be little surprise if Netflix and other video streaming services are just as popular, especially among the young. Sure, the launch yesterday wasn’t perfect. I had it good when I played back various programmes on a smart TV, tablet, PC and phone, but some friends reported that they could not log on to the service or get the videos streamed smoothly. Plus, there’s no House of Cards, the popular Netflix original series, in Singapore now, because its rights now belong to other players in the region. But don’t be surprised to see it come online once these deals expire. The genie is out of the box, for sure. Once people get used to video streaming, watching things as and when they want, there will be no going back to linear TV, outdated set-top boxes and overpriced pay-TV packages. Pay S$30 for a basic bundle and then add another $50 for stuff I might or might not watch, over a cranky set-top box I still have to rent for S$6 a month? No, thanks. Something better has come along, and more is on the way.